Early on we learn who Emily is and what she is running from when Shane demands the truth. Shane is not prepared to let Emily go and her troubles are added to his own. Shane demands full honesty from Emily but when she demands the same in return, Shane finds it is not so easy to give. Damage Control is full of drama and moves at a good pace. I love that Emily is more than capable to dealing with the family and business politics in Shane’s life. There is plenty going on and we start to learn more about each of the players involved. Ultimately not a lot is resolved, but given this is an ongoing series, that is to be expected and left me looking forward to the next instalment, Bad Deeds. This one picks up where Hard Rules left off, with Shane finding out that Emily has been lying to him. Does she tell him the truth or does she run to save herself and him? Emily has been running, trying to stay ahead of those that might be after her according to her brother. But when she meets Shane, she thinks she might be putting him in danger if she stays with him. But her feelings for Shane are growing and she doesn't want to see him get hurt. Shane is still trying to save his family’s company, but his brother Derek is all for letting anyone that is willing to give money to him in to cover any illegal dealings. So while Derek and Shane fight to win control over the company, their father is playing games to get them to fight for it. While Shane wants to stay out of jail, Derek listens to the bad guys and just may end up in jail or worse, end up dead. Will Emily tell Shane the truth about her past and be able to stop running? Can Shane keep her safe from her past and his family? Will Shane be able to save his family’s company from Derek and the bad guys? I am so ready for the next book because I need to know what happens next. Will Shane win control of the company? Or will Derek let the bad guys in and they take control? Will Emily get her life back on track? Only time will tell as soon as book three is ready. If you love a book that is full of suspense and will keep you guessing, then you need to read anything by Lisa Renee Jones. She will have you feeling like you are on a rollercoaster ride before you reach the end, but you will love every bit of it. So keep your hands inside, hang on tight, and enjoy the ride! This is the second in a series, and you most definitely need to read book one first. In fact, I would recommend that you read them together if you can, as this is a book with quite a complex story of industrial/mafia/international hacker conspiracy issues running through it. Very helpfully, Ms. Jones has given the reader a quick primer at the beginning to remind the reader of where we left the story in book one. This was very much appreciated, as it had been a while – and some of the finer points had left my memory. Be prepared for a deep story of filial competition. murder, mayhem, FBI, security, mafia, family betrayal, and so much more – these intertwine brilliantly in the book, to the extent that only when writing this did I realise just how many strands of crazy flow through the story. It is definitely not a fluffy read – the drama is real, and the risks are significant. That said, Emily and Shane – who both get to tell us their side of the story – are getting closer and closer in this book, and are prone to deal with stress by translating it into intense passion. Do make sure that you set yourself some time to really get into this story as you will not want to tear yourself away as things get ever more tense. Whilst the ending will be in book three, there is partial resolution of some issues by the end of this installment. 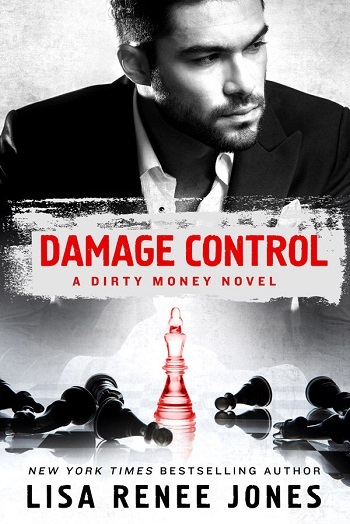 Reviewers on the Wicked Reads Review Team were provided a free copy of Damage Control (Dirty Money #2) by Lisa Renee Jones to read and review. Veronica reviewed her personal copy of the book.